AnnotatedLinks 2.2 allows you to describe, search, sort, import and categorize web links. It is intended to supplement browser favorites or bookmarks. However, it can also store annotated file or folder names. It can display category statistics, show added and last-modified dates, word wrap descriptions and put titles into title case. AnnWebLinks 2.0 allows you to describe, search, sort, import and categorize web links. 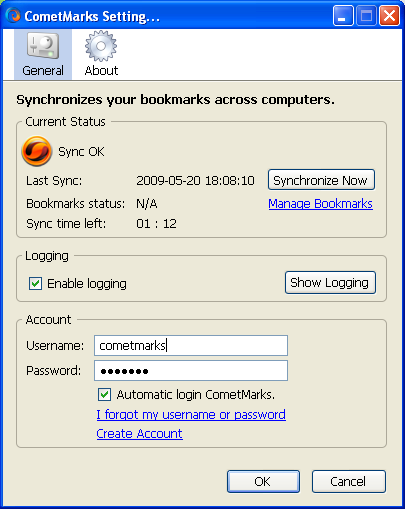 It is intended to supplement browser favorites or bookmarks. However, it can also store annotated filenames. It is useful for job hunting. It can display category statistics, show added and last-modified dates, word wrap descriptions and put titles into title case. It supports typo-insensitive comparisons, undo/redo/preview and sorting on multiple columns. 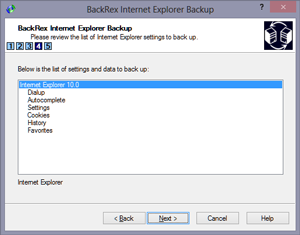 BackRex Internet Explorer Backup allows you to save Internet Explorer custom settings, including favorites, history, dialup accounts, autocomplete passwords and cookies. BackRex can help you to migrate settings from one computer to another, even with different versions of Windows and/or Internet Explorer. Enjoy a faster, more stable and safer internet with Comodo Chromodo. 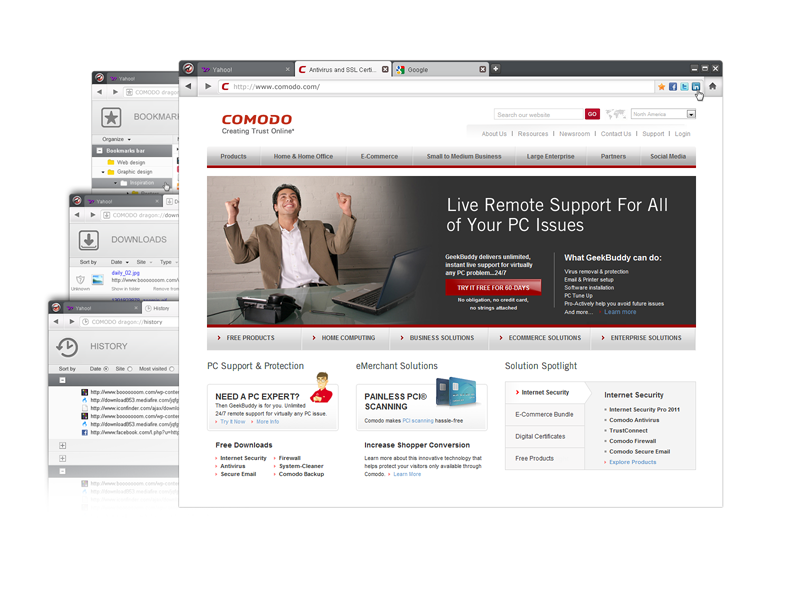 Comodo Chromodo has the look and feel of Chrome but with several security and functionality improvements. These include default browser settings which are optimized for security, an extension which lets you scan webpages for malware, automatic detection and blocking of ad-trackers; drag and drop browsing; instant downloads of YouTube videos and more. Free software! Enjoy a faster, more stable and safer internet with Comodo Dragon. 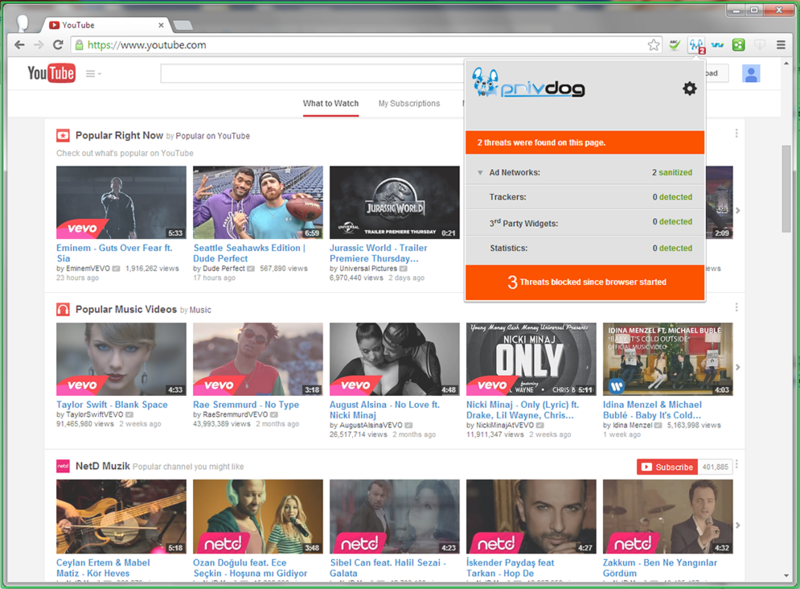 Dragon has the look and feel of Chrome but with several security and functionality improvements. These include default browser settings which are optimized for security, a web-filter which auto-blocks harmful pages, an IP/DNS leak detector, drag and drop browsing, a built-in YouTube/media downloader, and more. Free software!